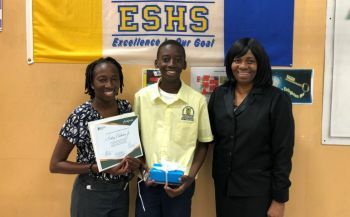 According to a Government Information Service (GIS), press release, dated yesterday, November 21, 2018, the winners are Dickson J. Cooper of the Althea Scatliffe Primary School, Anthony Cheltenham Jr. of the Elmore Stoutt High School and Simone Phillip, of the H. Lavity Stoutt Community College. 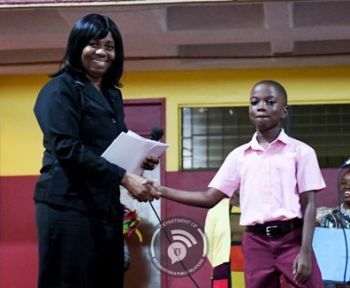 Chief of Drugs and Pharmaceutical Services, Ms Gracia Wheatley-Smith, congratulated each student for participating in the competitions, according to the release. 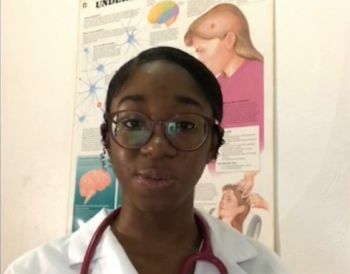 She disclosed that the entries were evaluated by the Pan American Health Organisation (PAHO) and the Organisation of the Eastern Caribbean States (OECS) Pharmaceutical Procurement Services (PPS) and will be used for awareness efforts in the region. The students were awarded prizes such as a new Hewlett Packard laptop, a Samsung Galaxy and an iPhone 8 Plus. Ms Wheatley-Smith, also noted that the competition and prizes, were sponsored BVI Communications, the Ministry of Health and Social Development and OECS PPS. The competitions were held to raise awareness about anti-microbial resistance (AMR) which is the ability of a microorganisam like bacteria, viruses and some parasites to stop an anti-microbial such as an antibiotic or antiviral from working against it. World Antibiotics Day was held on November 12, 2018. Good Job Anthony and all the other winners!